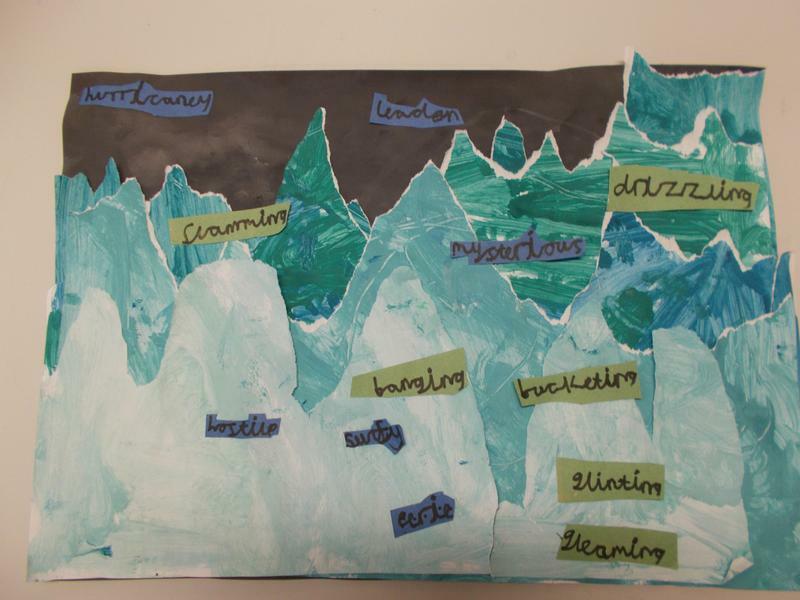 In English we have been preparing for our Big Write. 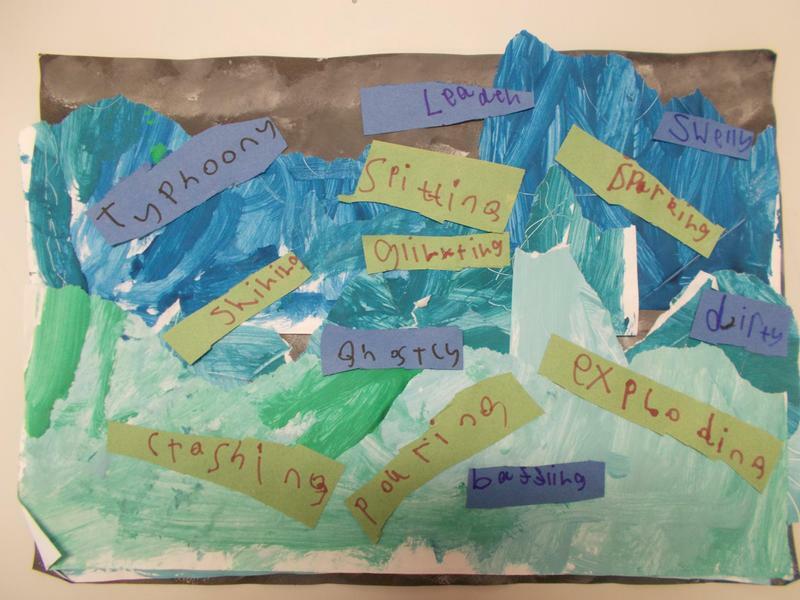 We have been generating language to use in our adventure stories to create atmosphere. 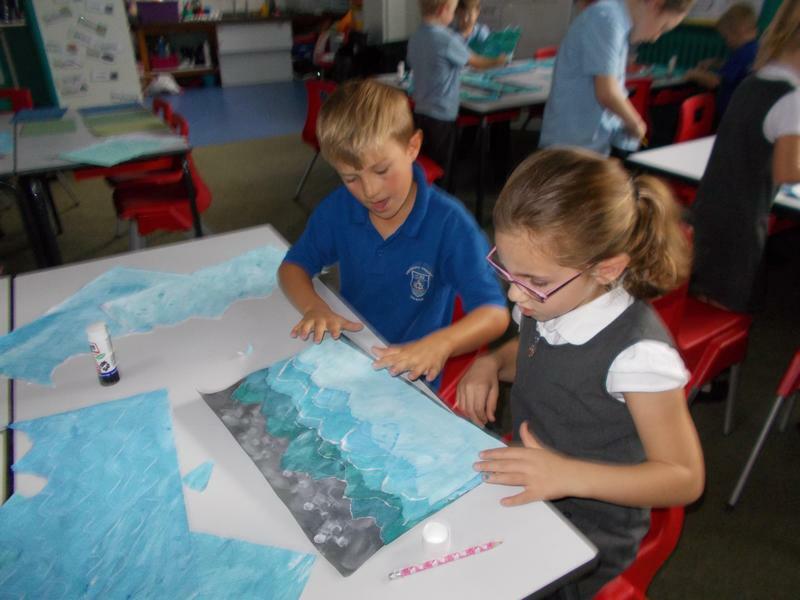 We started by painting some sheets of paper in different shades of blue-green, scratching into the surface to create a watery texture. 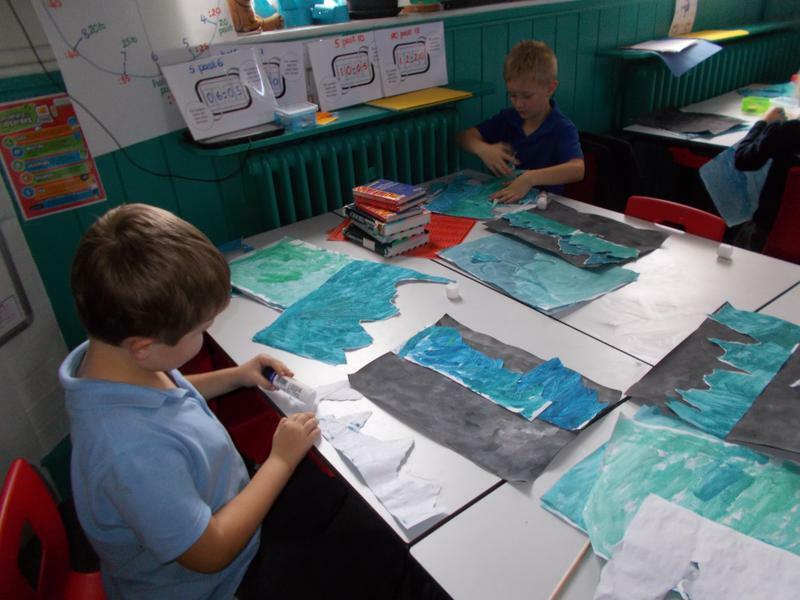 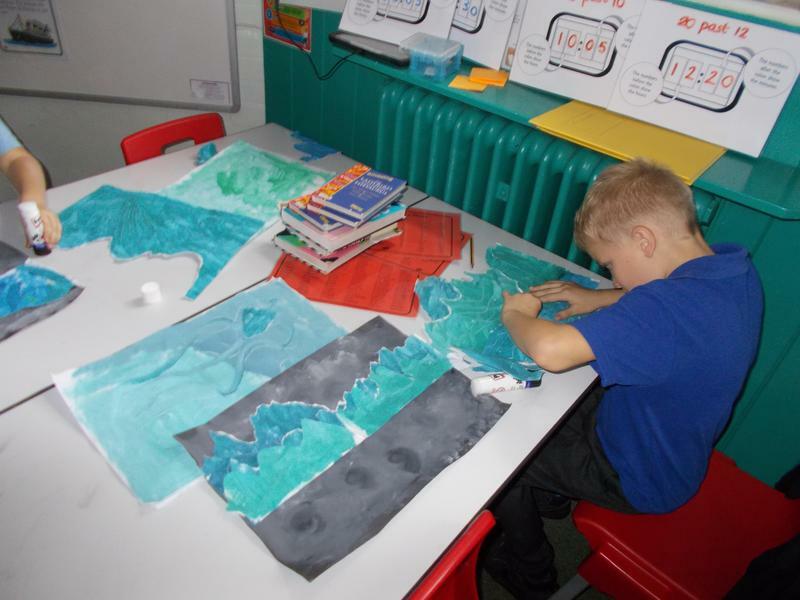 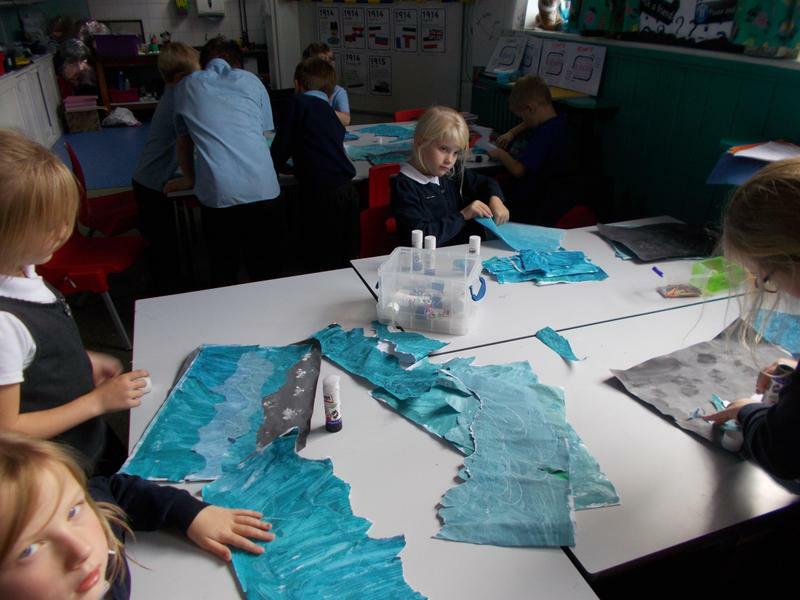 We built up layers of waves by carefully ripping the painted paper into strips and placing the darkest shades of blue at the back to build up some perspective. 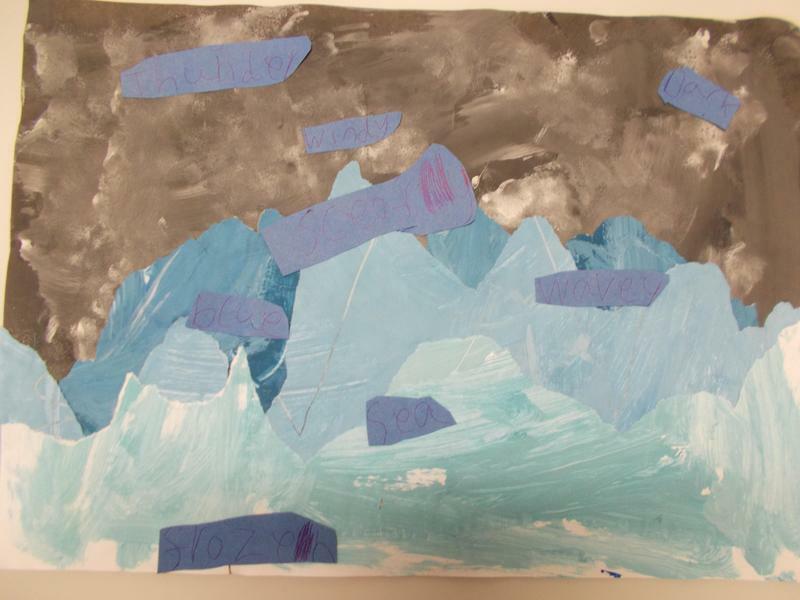 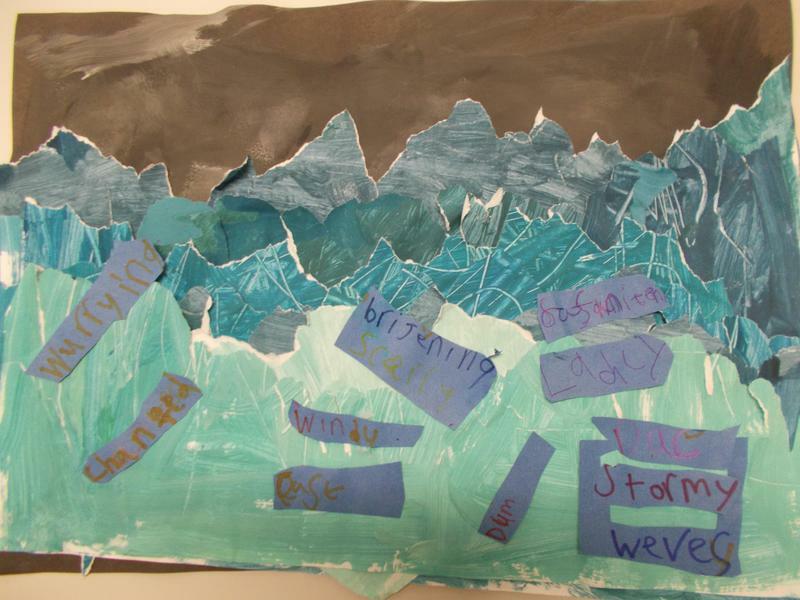 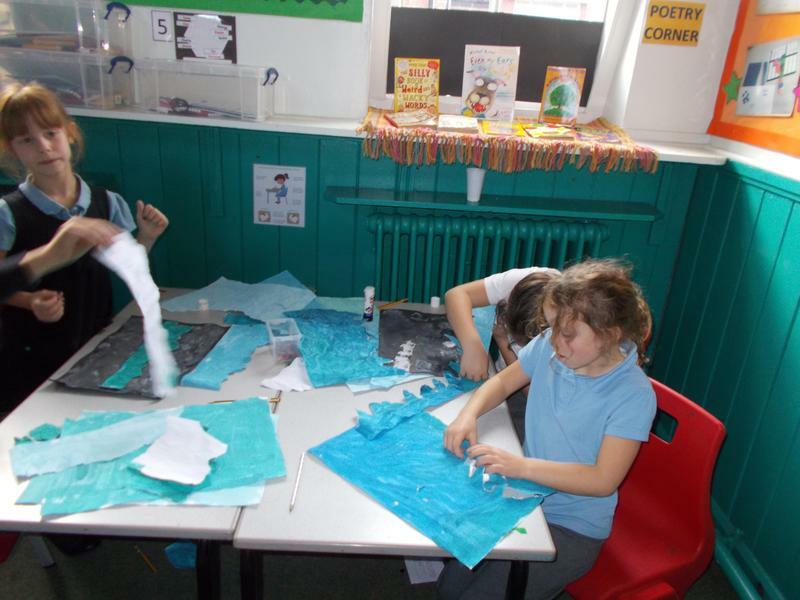 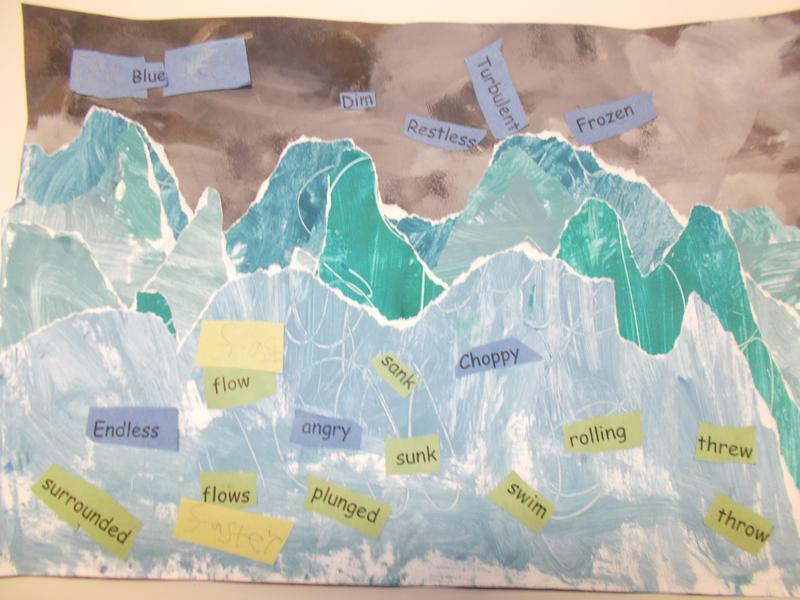 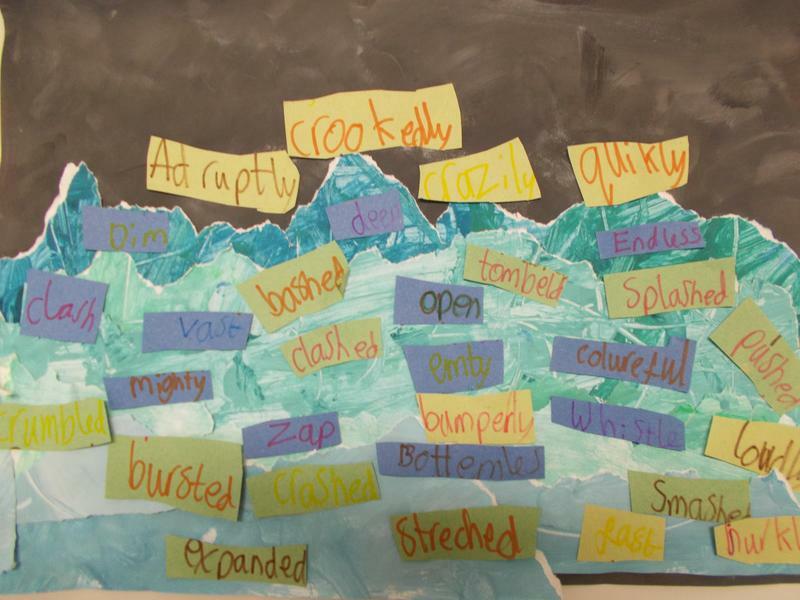 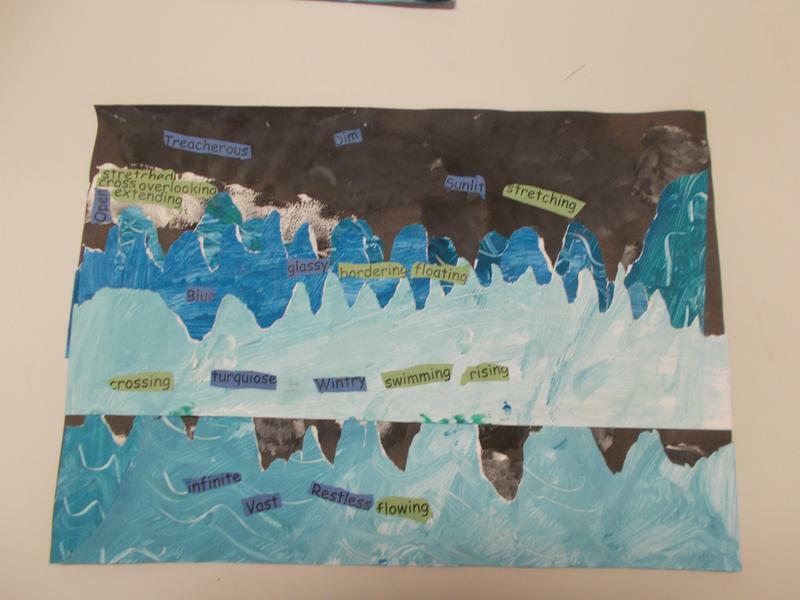 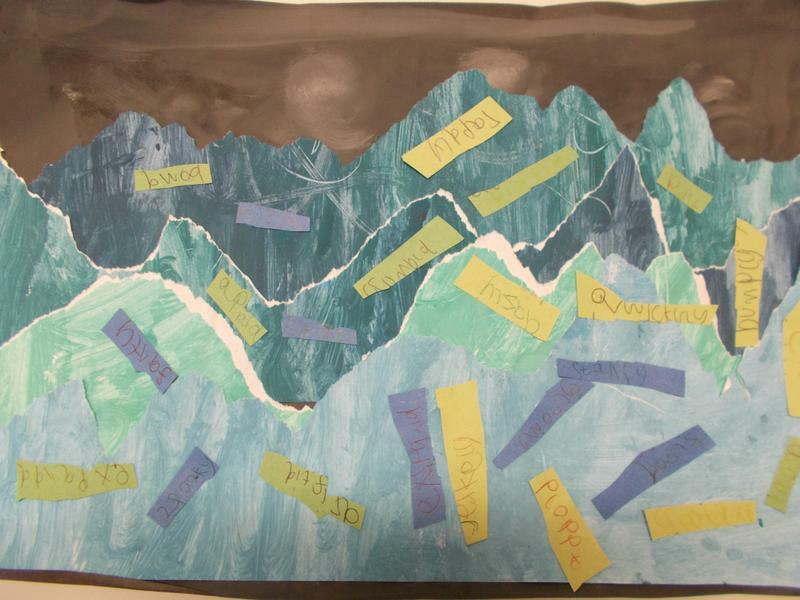 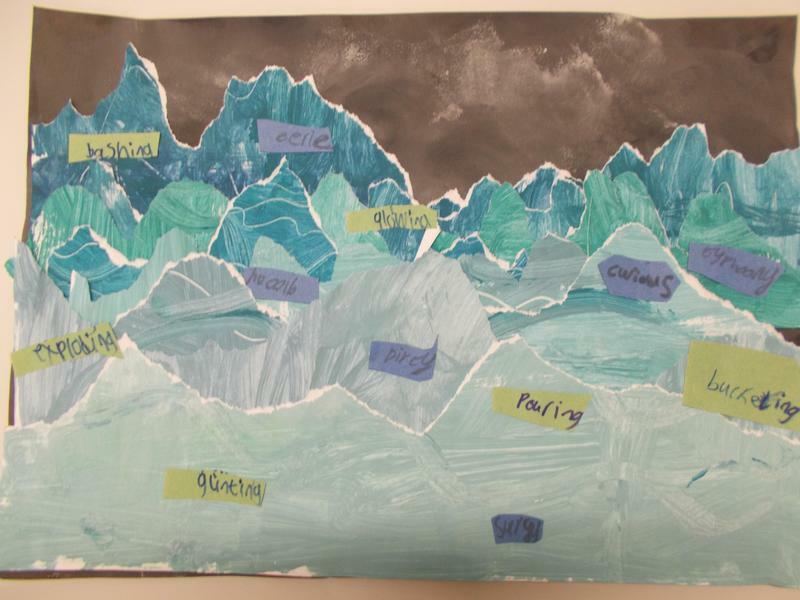 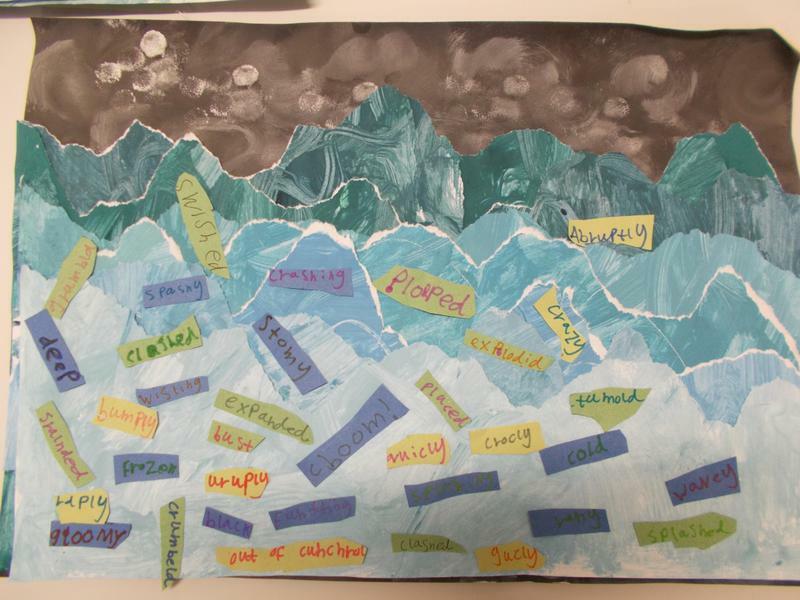 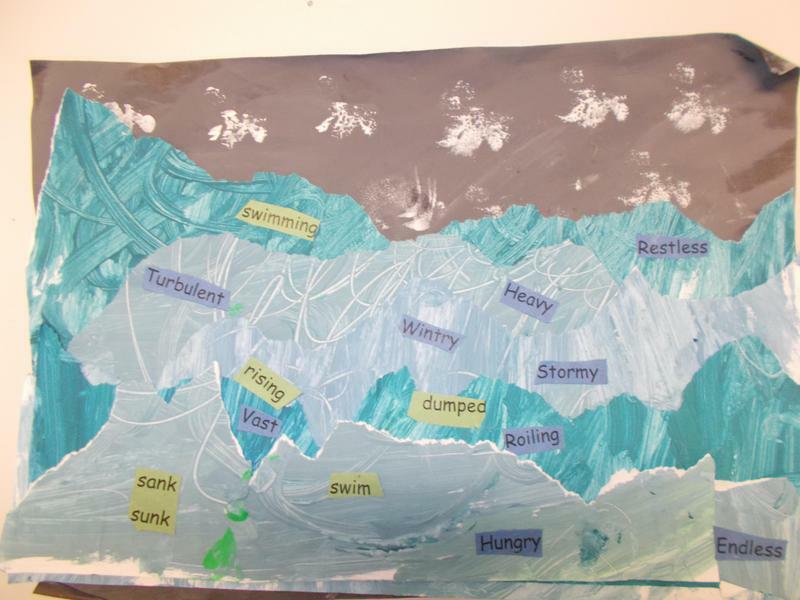 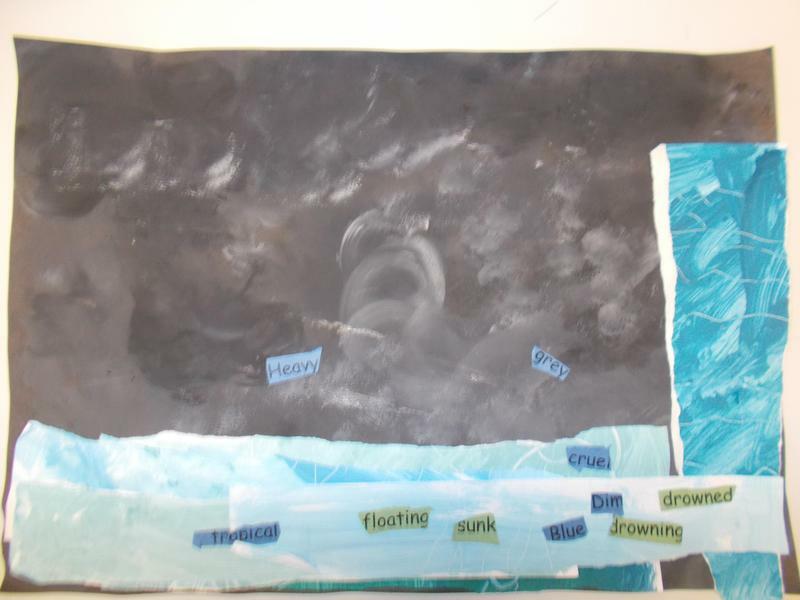 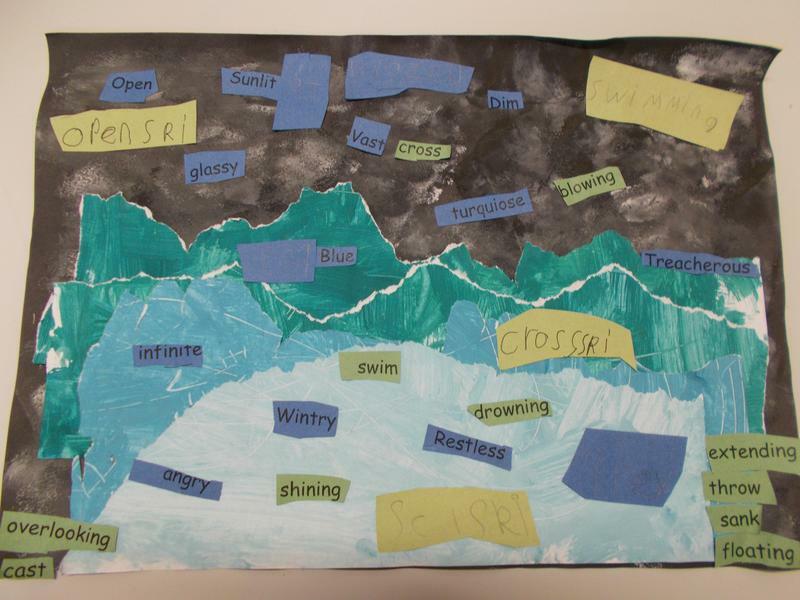 We then thought carefully of adjectives to describe the stormy sea and verbs and adverbs to describe its motion.